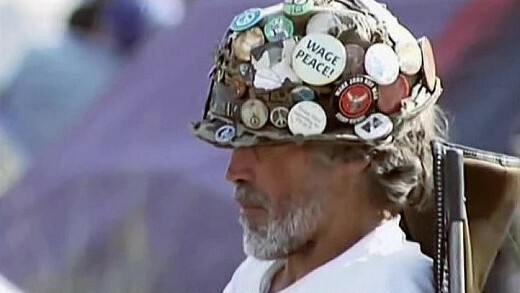 War Matters chronicles a decade of anti-war protest in Britain through the story of veteran peace campaigner Brian Haw, who camped in Parliament Square for over 10 years in protest against the UK government’s policies in the Middle East. Brian began his campaign against war on 2nd June 2001, initially in protest of the sanctions against Iraq. After the September 11 attacks in the United States later on that year, Brian’s campaign took on a whole new level of importance. War Matters documents this shift by examining the larger issue of the British arms trade and the repercussions of the Iraq and Afghanistan wars around the world, as civil rights are being curtailed in so-called democracies. Where does democracy end and tyranny begin?